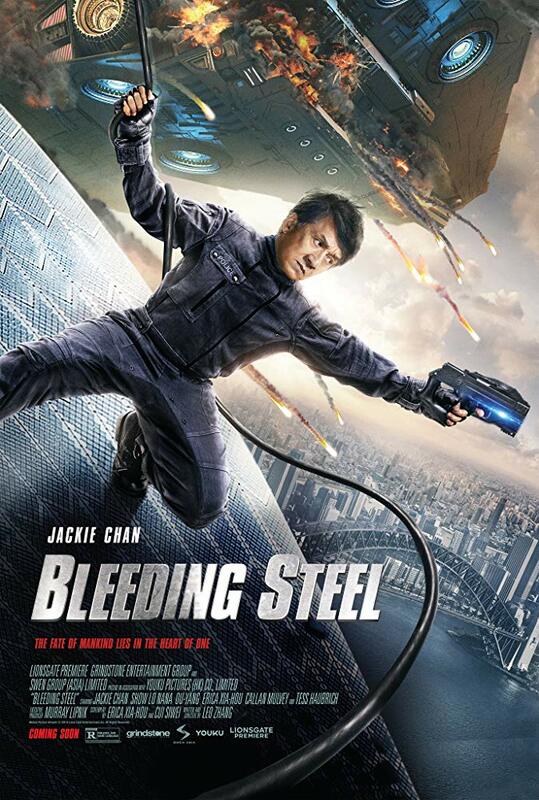 ?PRODUCED BY THE KING OF ACTION CINEMA, JACKIE CHAN, ?LEGENDARY AMAZONS? IS AN EPIC MARTIAL ARTS ADVENTURE SET DURING THE BRUTAL WARS BETWEEN THE SONG AND XIA DYNASTIES OF ANCIENT CHINA – Paying homage to the 1972 Shaw Brothers classic ?The 14 Amazons?, this action-packed blockbuster recounts the adventures of the legendary Yang Clan, a courageous and patriotic attack force of warrior women. Each a master of a unique style of martial arts, they are called to fight their greatest ever battle, when an overwhelming army of barbarian invaders threatens to overrun their homeland. Legendary Amazons delivers more action in one movie than you might possibly expect in five!? That?s what they say on the Cine Asia website. And you know what? This movie is truly EPIC! It is a love poem to martial artistry! And even if you don?t know the original film you?ll soon start to see why this is one of those rare martial art movie gems that you will fall in love with. The story begins with a fierce battle between General Yang Zongbao and a rival army on the boarders of their lands. With his men, he tries to defend a fortified village. However, the enemy is too strong for him and so Zongbao sends a pigeon to his wife, carrying his good luck charm (a bundle of his wife?s hair) to let her know that he might not come home alive. His wife Mu Guiying is devastated when she finds the pigeon and the hair lock, and the whole family is deeply affected by the apparent death of their male leader. The family receives an Imperial edict that orders Zonbao?s son (making him a leader of a small army) to defend the boarder and regain the village that fell into the hands of the enemy. He is joined by the women of the family who decide it is also their duty to fight. From this point on the film becomes one long battle in which the women of the Yang Clan, each specialized in one weapon, prove that men are not the only fearsome warriors and strategists! Their motivations may differ from the ones the men normally fight for, but these women fight with just as much intensity and lethality. Before long they face their first battle with the enemy army and from here on you witness the biggest and most beautiful martial arts feast you will have seen for a long time. But don?t fear that this movie is one long meaningless fight…director Jackie Chan has crafted a beautiful storyline with fascinating characters that will keep you interested and glued to the screen. It is a grand spectacle to behold. I really enjoyed the mixture of funny moments, breath-taking fight scenes and the detailed and colourful costumes. Since I only had the chance to watch this masterpiece as an online stream from the film?s promotional company, so I am sure that it will look even better on DVD and Blu-ray! Sadly I can?t tell you what the extras on those discs will be at this time, but one thing is for sure, Jackie Chan?s Legendary Amazons is an epic masterpiece that you MUST HAVE in your collection! I thought 13 Assassins was the best martial arts movie I had seen in a long time?but Legendary Amazons surely deserves to be on the same top step with it as another epic love poem to martial artistry! Congratulations to Jackie Chan, his move from acting to directing is proving to be just as successful as his on-screen career. Legend has it that Bruce Lee once kicked a horse under the chin. Its descendants are known today as giraffes. Yes, while some martial artists are fast, others strong and one or two have the wisdom of an ancient philosopher, there has only ever been one Bruce Lee. He was the original kung fu megastar ? a wise, majestic and sublimely graceful master who persuaded a generation of men to shut the fridge door with a roundhouse kick while shouting the word ?hai-ya!? And now Syfy is kicking up a storm in memory of the action star who paved the way for the likes of Jackie Chan, Jet Li and Donnie Yen. In THE WAY OF THE DRAGON (Friday 5 November) Lee plays a Hong Kong country boy helping a relative whose Chinese restaurant in Italy is threatened by vicious American karate experts. Former karate champion turned-actor Chuck Norris also takes a bow. Watch out for the gripping climax, when Lee and Norris fight to the death in Rome?s famous Colosseum. Lee is at his death-defying best in FIST OF FURY (Friday 12 November) . The rivalry between the pupils of Chinese and Japanese martial arts schools gets out of hand when a student dies, leading to a battle that threatens to claim more lives. Lee is as charismatic as ever in this high-kicking adventure, with support from Nora Miao and James Tien. GAME OF DEATH (Friday 19 November) will forever be tinged with tragedy as Lee was in the middle of shooting it when he died. A double was drafted in to complete the filming, with the resulting footage carefully edited together. The thriller co-starring Gig Young is well worth a look as it sees the man himself as an actor who fakes his own demise to wreak revenge on his enemies. Finally, cinema buffs will be pleased to see Lee in one of his earliest roles in THE BIG BOSS (Friday 26 November). It?s the tale of an ice factory worker who decides it?s about time his crooked boss was punished for trafficking in heroin, and sets about the task himself. The furniture may take a bit of a pounding after watching these great movies as middle-aged men roll back the years and practise their roundhouse kicks, but in terms of pure entertainment, this celebration of a legend promises more fireworks than Bonfire Night. first set of images available for THE KARATE KID. 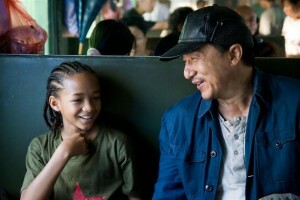 SONY PICTURES will be releasing THE KARATE KID starring Jaden Smith and Jackie Chan next year – Summer 2010.